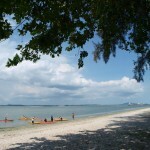 Changi Beach Park | JustRunLah! 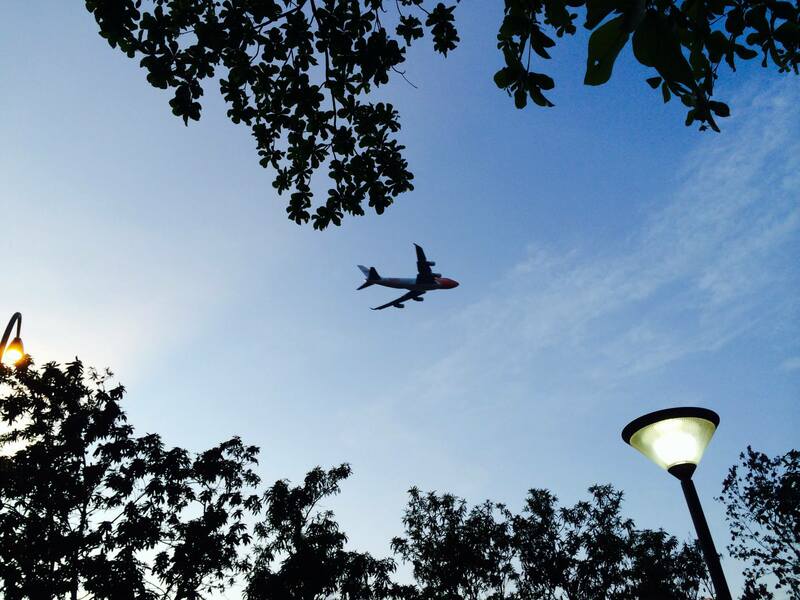 Run with the aeroplanes taking off overhead! 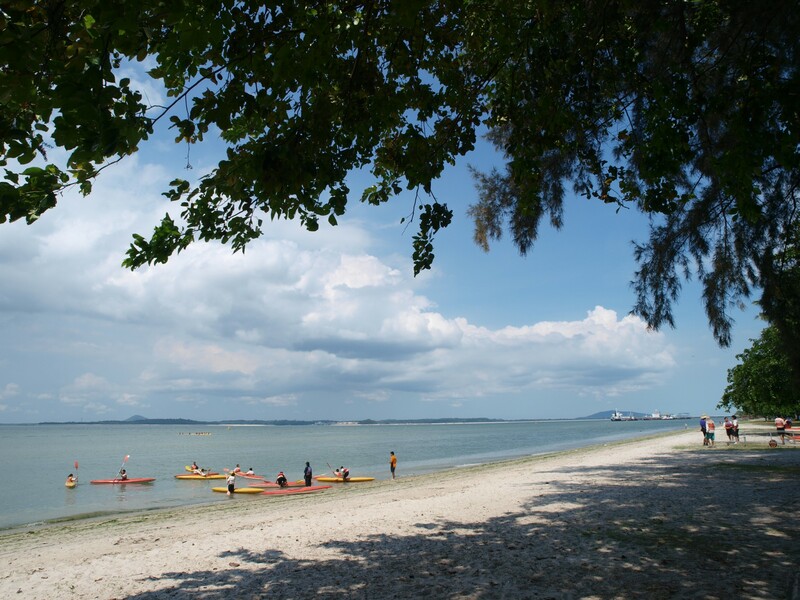 One of Singapore’s oldest coastal parks, Changi Beach Park is both a family recreational heaven, as well as a runner’s dream. 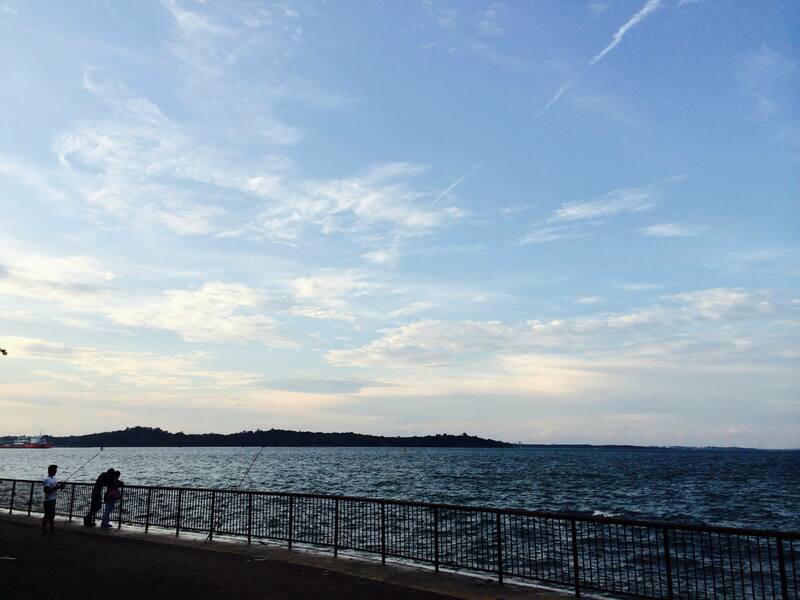 The 3.3km park stretches from Changi Ferry Terminal to Changi Point, offering runners, in-line skaters and cyclists a track with coastal views, including that of Pulau Ubin. 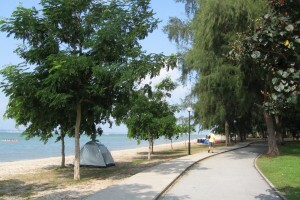 There is also a fitness corner for strength training enthusiasts, and of course, the beach for swimming and fishing. 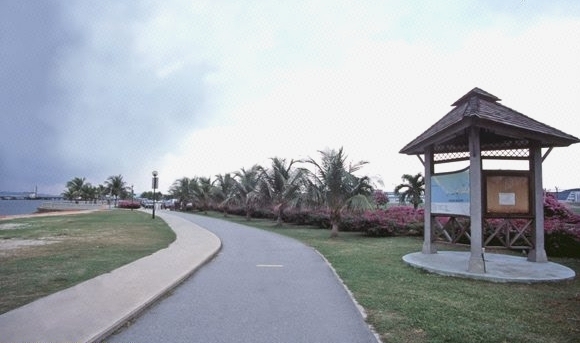 With 15 barbecue pits, benches, pavilions and shelters, it’s ideal for weekend picnicking. 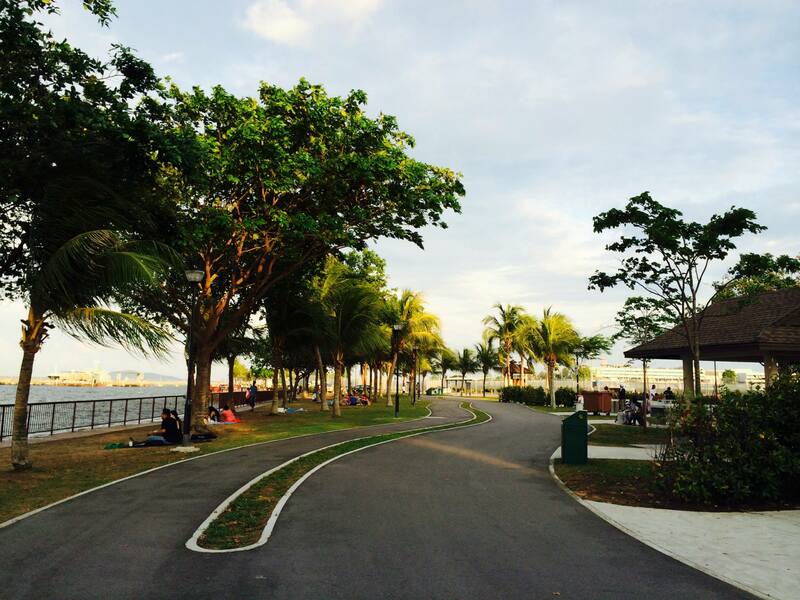 The children’s playground will keep the little ones entertained while you go for a quick run. 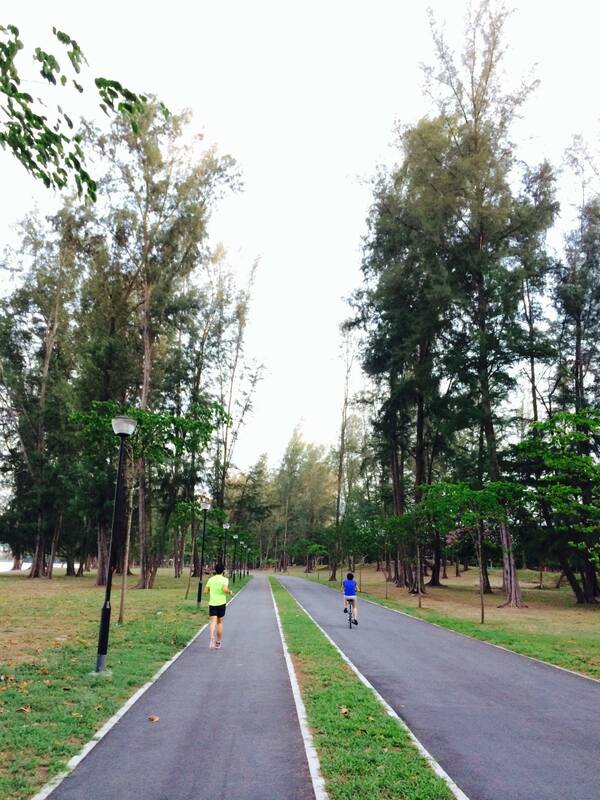 The park boasts full amenities for runners, with toilets, water coolers, changing room with lockers and showers. 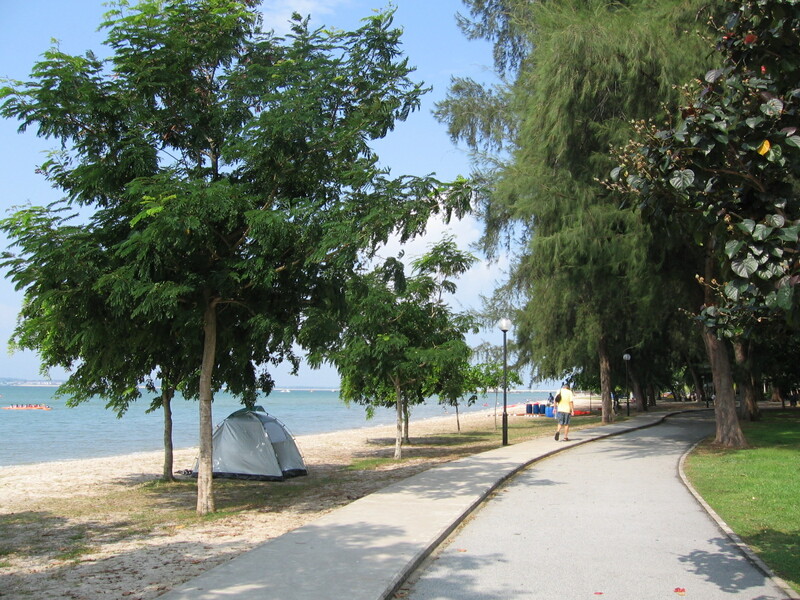 In 2011, CNN Travel named Changi Beach Park as one of the top 10 best places to run in Singapore, recommending it to intermediate and advanced runners, as well as travellers in transit. 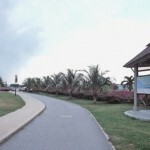 – The Coastal Park Connector that hugs the coast of Singapore, leading to the Changi Ferry Terminal. 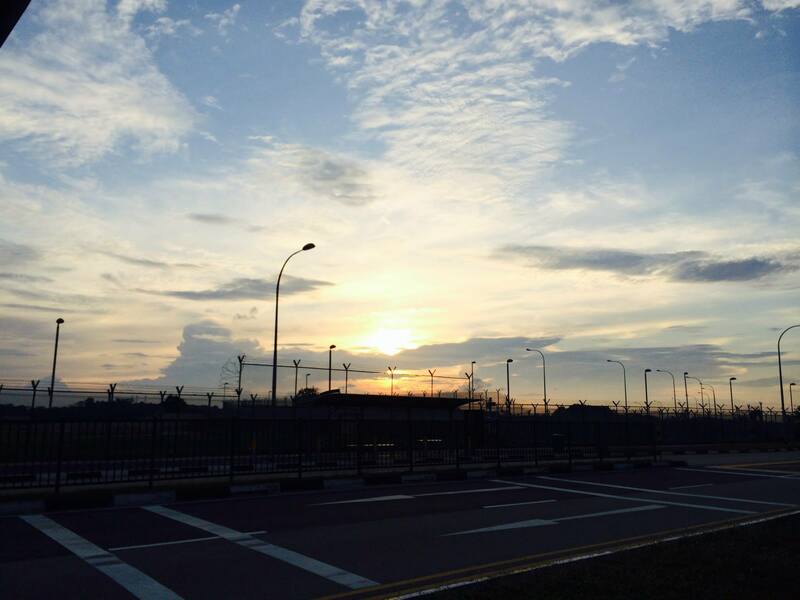 Continue and you’ll past Changi Airport, eventually arriving at East Coast Park. 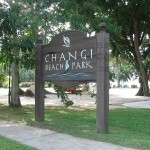 There are 4 car parks servicing Changi Beach Park. It is best to arrive by bus. 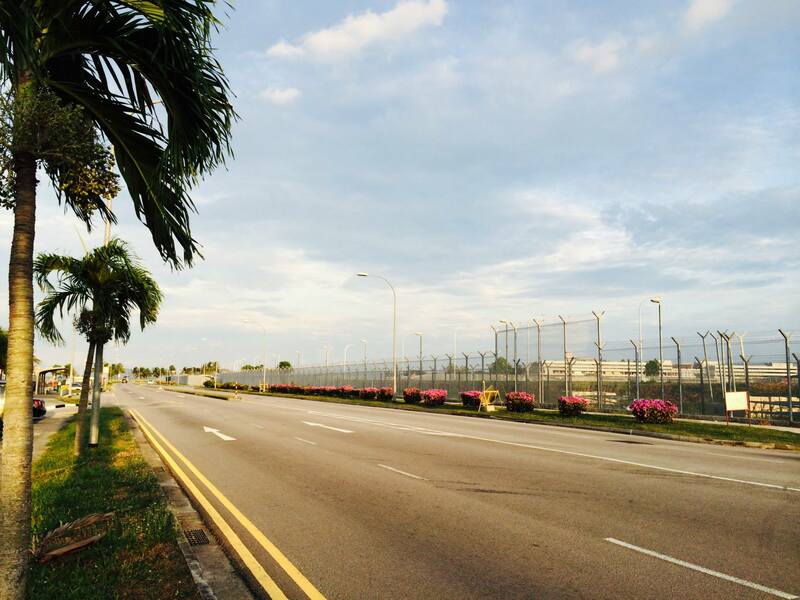 The closest bus stop along Nicoll Drive is serviced by buses 9, 19 and 89. 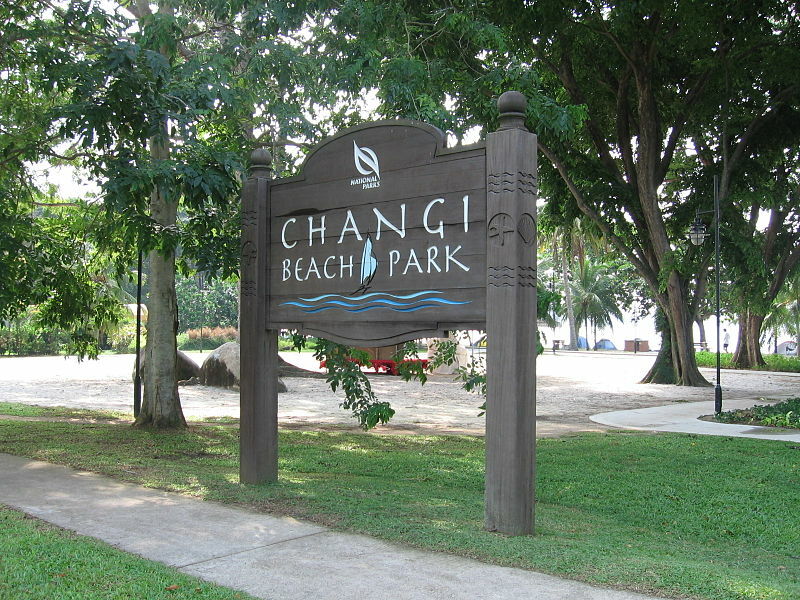 The park is also walking distance from the Changi Village Bus Terminal, so it is accessible by any bus terminating its service there.